A springtime brunch is a great opportunity to get together with family or friends. It is time for soft boiled eggs with soldiers, for big pots of tea and for scones with clotted cream and jam. Welcome in the spring with a fresh new table decoration placed proudly in the centre of the table. 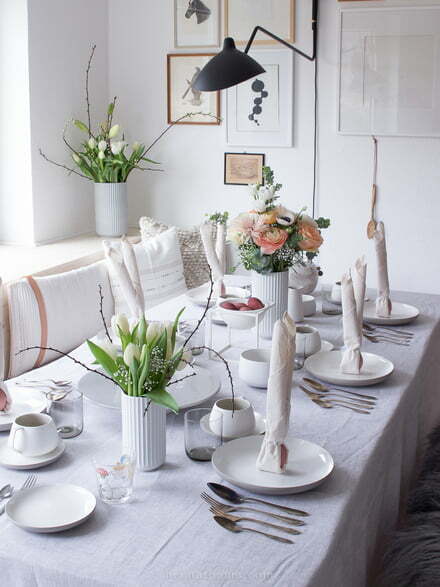 Spring has sprung and German blogger Heimatbaum is inspiring us with beautiful table decoration ideas. Scrolling through the instagram account of Pepper Schmidt there is a definite wave of calmness. On her blog Heimatbaum, which means "home tree", she shares glimpses into her home with her now more than twenty thousand followers. Natural colours like white, grey and beige mix with the occasional shade of black. Natural materials such as wood and linen represent a connection with nature. 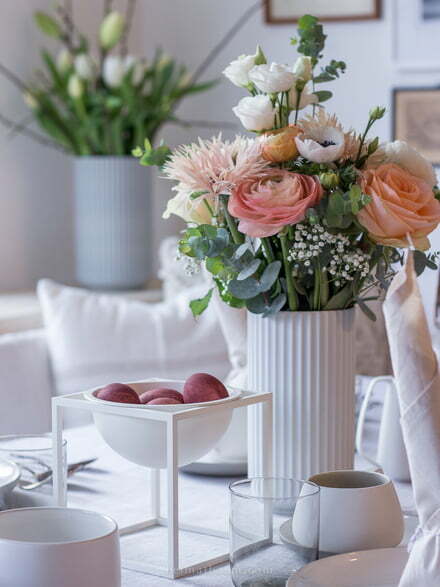 This refreshing style also makes the perfect Easter table decoration. Now it's your turn. 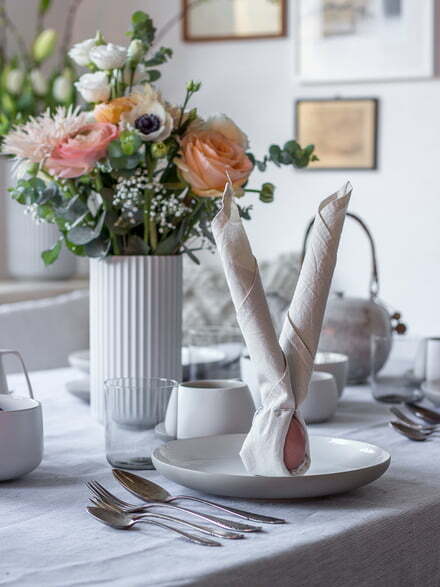 Here you can find Heimatbaum's favourite pieces mixed in with some of our own inspiration for a fresh new look for your dining table. Lyngby Porcelæn The porcelain factory Lyngby Porcelæn was founded in 1936 and is located north of Copenhagen. When the company ceased production in 1969, it had already taken a permanent place in the history of Danish design. Royal copenhagen Royal Copenhagen was founded in 1775 by the Danish Queen Maria Juliana. As one of the oldest porcelain manufacturers in the world, Royal Copenhagen has always stood for the highest quality and timeless design.